Children ask the most interesting questions, and a lot of them! We're sure that you, too, have run out of explanations as to why you can’t build an indoor slide for a squirrel. Sometimes there isn’t an answer, sometimes things just aren’t possible – and you can’t explain why! Fear not, we have the answer (OK maybe not all of them) but here are some ingenious ways to combat some of the problems you may have encountered… and some you hadn’t even considered as problems before! You may or may not be aware that there are some friendly monsters who come to play at our sessions now and again. I can assure you, though, that we are not responsible for the naughty ones that hide under the bed at home. 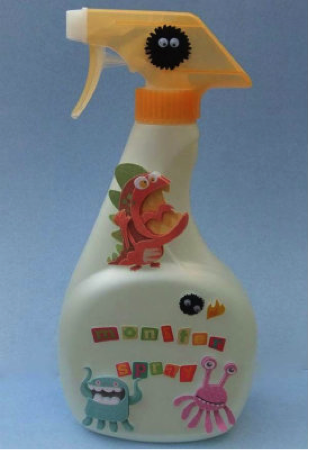 Here is a way of making sure those nasty midnight monsters are taken care of! Despite living in a bungalow growing up, I am still hugely disappointed that I never came up with this idea. Oh the fun we could have had! 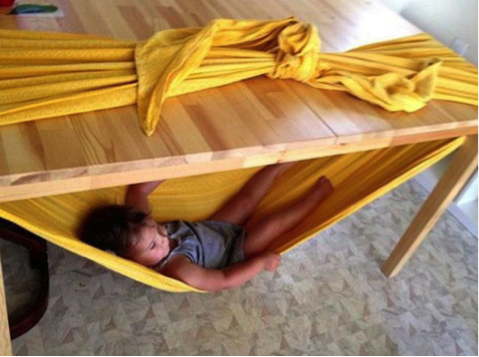 Don't let your little ones miss out on the this genius idea! Here is another one that I missed out on as a kid! I may leave this one well alone, not sure the table could handle someone my size! Simplicity at its best. 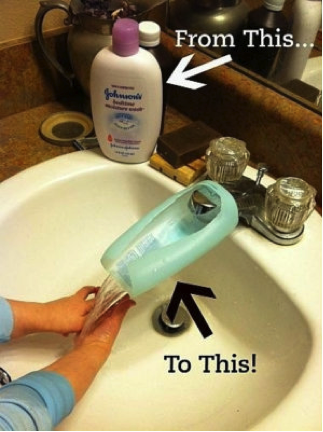 But if your kids, like me, are more vertically challenged than other kids, they may find that reaching the tap can be a bit of a struggle…. Well no longer! 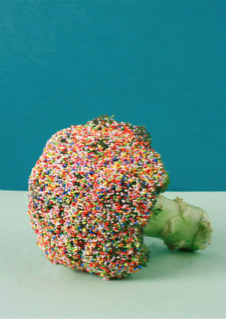 OK, so you may not need to be quite as generous with the sprinkles as this picture may suggest – but it is a way of making vegetables, and fruit especially, a little more interesting! 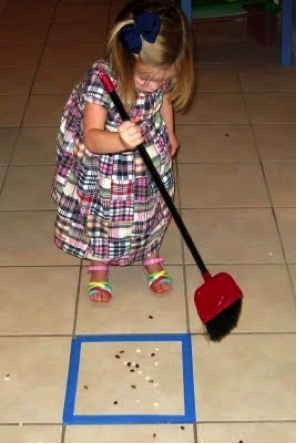 It’s important that children learn to do simple chores, but it doesn’t have to be boring! That includes you parents too! Turn every day tasks into fun games. Just make sure your Little Kickers aren’t making more mess just to play the game! 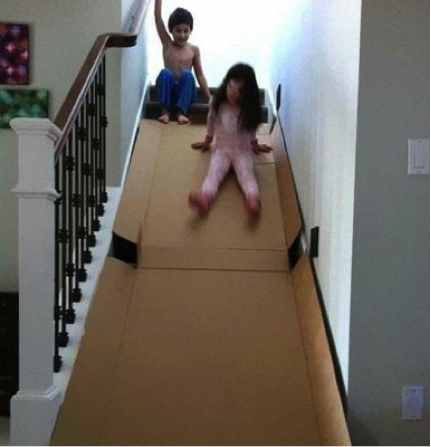 Now I'm off to build a slide on the stairs!